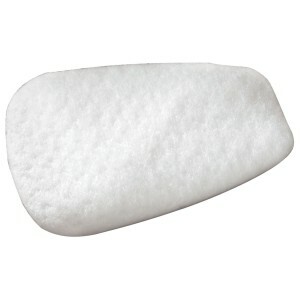 3M 07183 – Half Facepiece Respirator – Large – FREE SHIPPING! 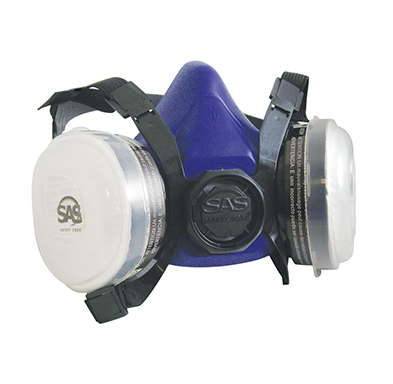 Designed for the technician who is working in applications where a respirator is needed for protection against brake and clutch dust and potential asbestos exposures from these linings. The replaceable P100 filter (3M 07184) is loaded with a layer of activated charcoal for a nuisance level relief from organic vapor exposures in applications such as undercoating. (Concentrations not exceeding OSHA PEL, or applicable government exposure limits, whichever is lower). 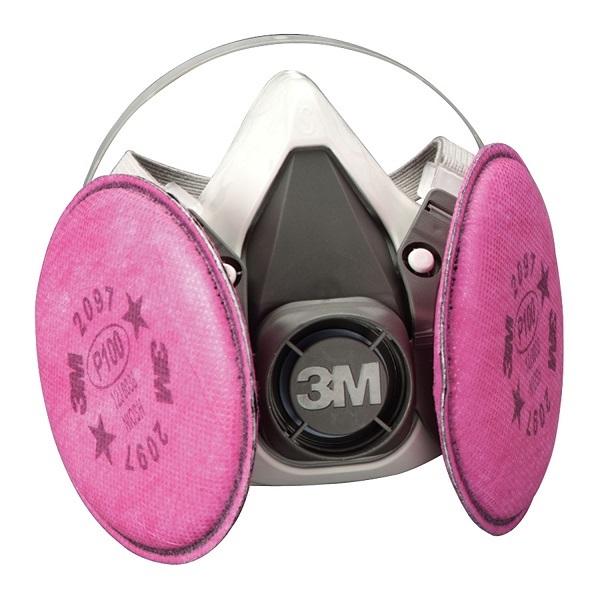 Low maintenance respirator design allows the filters to be replaced on the respirator and the facepiece to be reused until it becomes worn or damaged. At that point it is replaced with the 3M 07026 Low Maintenance Half Facepiece Respirator (Large). 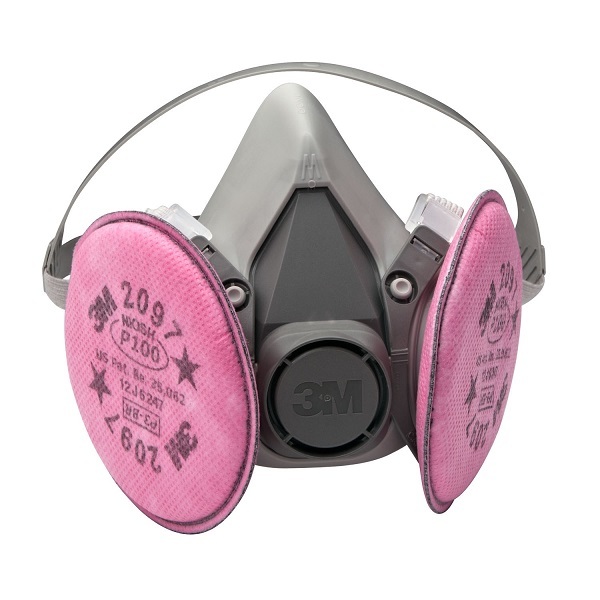 3M 07182 – Half Facepiece Respirator – Medium – FREE SHIPPING!